Unless one works in a potentially dangerous profession such as police officer, fireman or skyscraper window washer, injuries in the workplace are generally not considered a common concern. The truth, however, is that such hazards are more frequent than most people think - and are not restricted to high-risk occupations. People employed in sedentary occupations are just as prone to physical ailments related to their jobs. In particular, technology-driven workplace environments such as long hours before computers have shown an increase in musculoskeletal injuries. Prolonged sitting, poor body posture are the most common causes. Problems may not occur immediately, but gradually become noticeable over time. What is imperative is that these symptoms not be ignored as they can result in debilitating or even permanent damage if not properly attended to. An untreated workplace injury affects your ability to do your job, and thus may also threaten your capability to earn a living. The most common injuries include trauma to the back and neck, carpal tunnel syndrome, and a variety of headaches. Oftentimes conventional medical treatment alone might not be the answer. While medications alleviate the pain, they do not address the underlying cause of the problem or help with the oftentimes emotional aspects. This is where massage can play an effective and positive role. Massage not only helps with the relief of physical suffering and may prevent future injuries, but also aids in dealing with anxiety, depression and even sleep disturbances that may relate to one's injury. An auto accident is another situation that can result in trauma that may surface as a delayed reaction. Injuries most common in a motor vehicle accident include whiplash, and other muscular strains and sprains that affect the shoulder, lower back, mid-back, elbow, hip and knee. Even a minor fender-bender can produce problems that might not be immediately evident. Accidents vary and so does the severity of the injury. It is recommended that treatment be sought immediately following an auto mishap, regardless of whether or not you have not sustained noticeable injuries. Besides preventing the potential for later musculoskeletal disturbances, one of the primary benefits associated with massage therapy is the relaxation that can help reduce or eliminate the effects of shock and trauma on your nervous system. The release of tension throughout the body can reverse damages caused by the jolt of a sudden impact and prevent those injuries from becoming more severe. Massage also promotes the circulation of blood and encourages the healthy function of the lymphatic system which can control the swelling - or edema - that usually comes from an auto injury. Massage helps to maintain and improve range of motion and may even help prevent the formation of scar tissue. 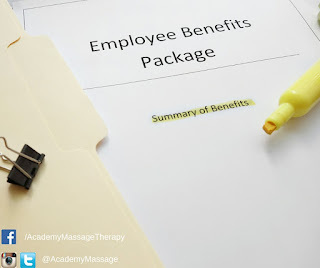 So whether your complaint comes from a workplace injury - or is the result of an automobile collision, your first choice should be to visit one of Academy Massage's trained and qualified massage therapists who will work with you to determine the best course of therapy to put you back on track. Excitement builds in the air among the fans and especially the teams, both professional and amateur. As with football, hockey creates its own collisions and as it is a full-body sport, demanding speed, agility and balance, the entire body should be in prime physical condition to withstand the rigors of the sport. Muscles are put into action in multiple movement patterns and the proper training and maintenance of these muscles are essential if the player wants to perform at the top of his game. The core should be strengthened first as this is where movement begins. The muscles in the lower body most in need of training include the lower back, thighs, inner thighs, hamstrings, the rectus abdominis (the major muscle in the center of the stomach) and hip flexors. These are the muscles responsible for acceleration in skating, stopping and twisting and the change of direction on the ice, and are important because often during the game you perform many of these actions simultaneously. Since proper warm-up is the key, one of the most effective procedures to prepare the body for the ice is the foam roll. 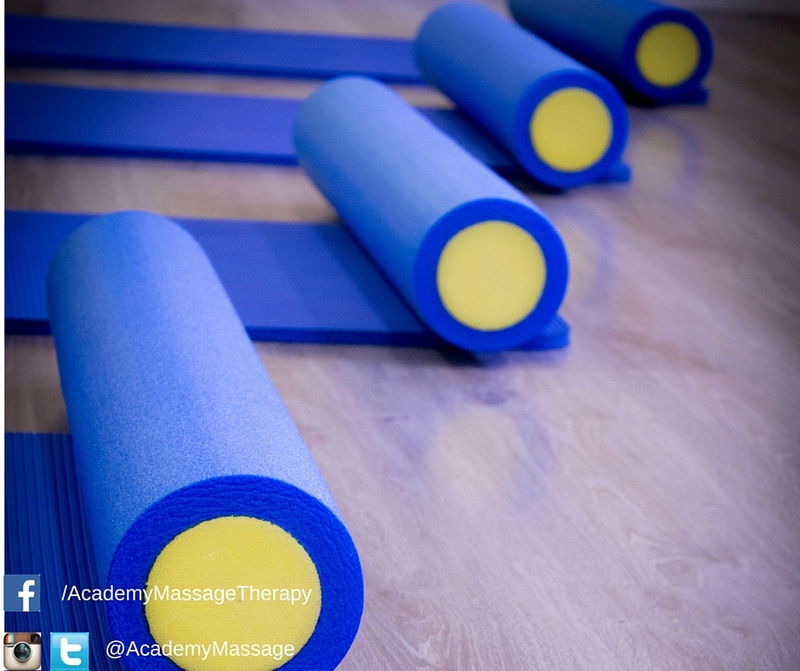 The benefit of the foam roll is that it massages the trigger points - or muscle knots. Working these trigger points helps to improve the blood flow to the muscle tissue and readies the muscles to perform quickly, which is vital with the hard contractions that occur in hockey. In addition, foam rolling addresses muscle imbalances, increases range of motion, increases long-term flexibility, and can help a muscle recover after exercise and aid in recovery. Pressure injuries are areas of damage to the skin and underlying tissue caused by constant pressure or friction. Other terms by which this condition is known are pressure sores, bed sores and decubitus ("lying down") ulcers. Pressure injuries can develop when your skin and soft tissue press against a hard surface for a prolonged period of time. Under this external pressure, the blood supply is cut off, limiting oxygen supply and decreasing nutrients to the cells. Lack of blood supply can cause the skin tissue in this area to become damaged. This may result in the formation of an ulcer. The most common positions for pressure injuries are the back of the head, shoulders and shoulder blades, spine, tailbone (sacrum), elbow, heel, buttocks, and hipbones. A pressure injury can develop in as short as 30 minutes if there is high pressure in a small area. Increased pressure over short periods of time and slight pressure for longer periods has been shown to cause equal damage. Pressure injuries affect people who have decreased mobility and are most common among the elderly since their skin generally is thinner and more delicate; however, these injuries can affect anyone at any age who may be confined to a bed or wheelchair. Another factor contributing to the intensity and duration of pressure is reduced activity; in today's lifestyle many occupations are sedentary, with long hours spent at the computer. Without frequent standing or repositioning, continued and prolonged sitting can result in the same condition as anyone confined to a bed or wheelchair. The healing of pressure injury may take weeks or longer. If not properly addressed, they can lead to serious complications, including inflammation, bone and joint infections abscess, and even cancer. The good news is that pressure injuries are also highly preventable and, therefore, a strong focus on prevention should be the primary consideration. These preventative measures include regularly changing position at least once every one to two hours so that the pressure does not remain steady on one part of the body, good hygiene and proper skin care, a healthy diet complete with the right vitamins and nutrients, and weight management as obesity and even being underweight have been shown to be risk factors. As is smoking and not drinking a sufficient amount of water each day, which is vital in keeping the skin hydrated. Other ways to prevent the onset of pressure injuries include staying active with a healthy and sensible daily exercise regimen and following such simple tips as avoiding clothing that is too tight and restrictive. It is also important that you check your skin often to determine whether there may be the beginning signs of pressure sores, which are Stage 1 and the easiest and most effective to treat. In short, the key to avoiding pressure injury is to avoid stress to the skin, through frequent movement or repositioning, nutrition, and sensible cleanliness habits. Our trained and qualified therapists at Academy Massage can advise you on an appropriate physical program that will help improve and increase blood flow, build up muscle tissue, stimulate the appetite, and overall strengthen the body. Physical injuries can come upon us suddenly and may result from causes ranging from a serious accident or sporting mishap to a simple sprain or strain from a sudden incorrect movement. Whatever the cause, these injuries can affect each of us in a variety of ways, and may leave us with temporary discomfort or in chronic pain. 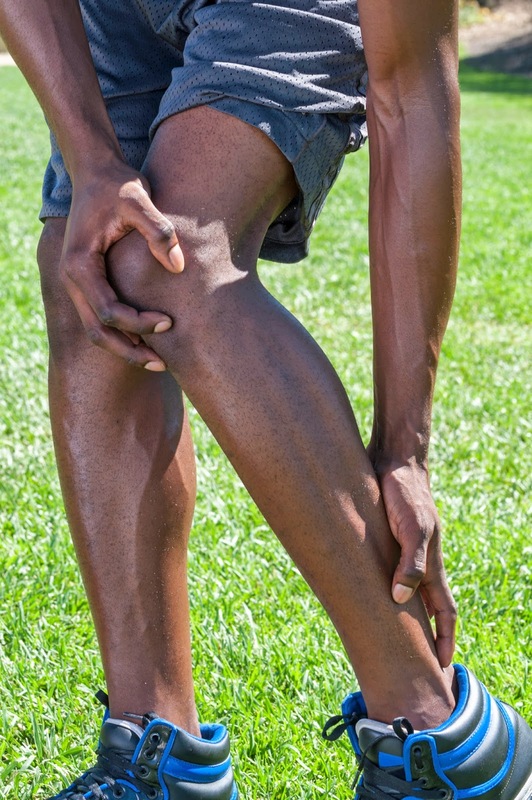 Severity and symptoms may vary but generally each will require specific treatment, and most effectively a healing geared toward targeting the underlying cause of the injury. Many people upon suffering an injury seek quick relief from their physical distress by popping a pill for immediate - if temporary - relief. But there are other remedies to be considered that go directly to the root cause and do not come with the risk of side-effects often associated with prescribed or over-the-counter medications. One of the most effective and popular procedures is therapeutic massage. 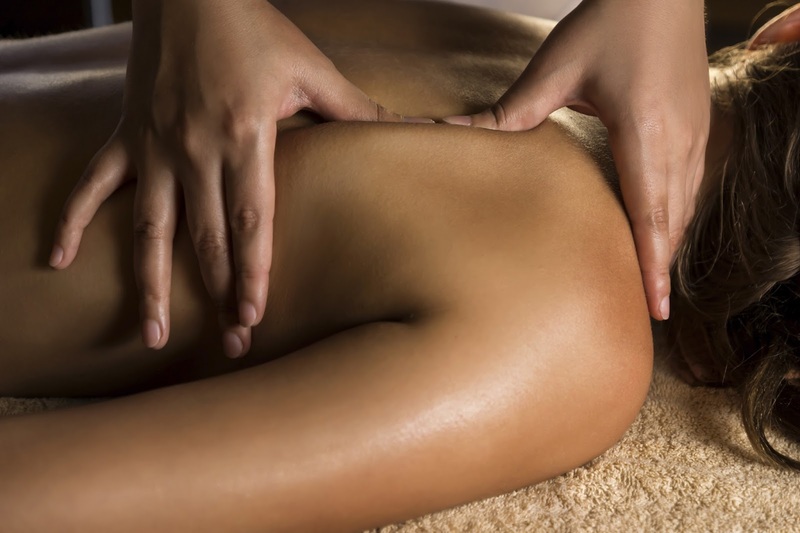 The benefits of massage are numerous and go beyond just relieving stiffness and soreness. While massage helps relieve pain in damaged muscles by sending anti-inflammation messages to muscle cells, it also aids in detoxification and stress relief, improved blood and lymph circulation, and even helps to prevent future injuries. Physical rehabilitation for an injury can be a long, frustrating and even painful procedure. To that end, massage has been shown to be an important supplement to rehabilitation treatment in that it allows the injured area to become more flexible and heal at an accelerated rate. 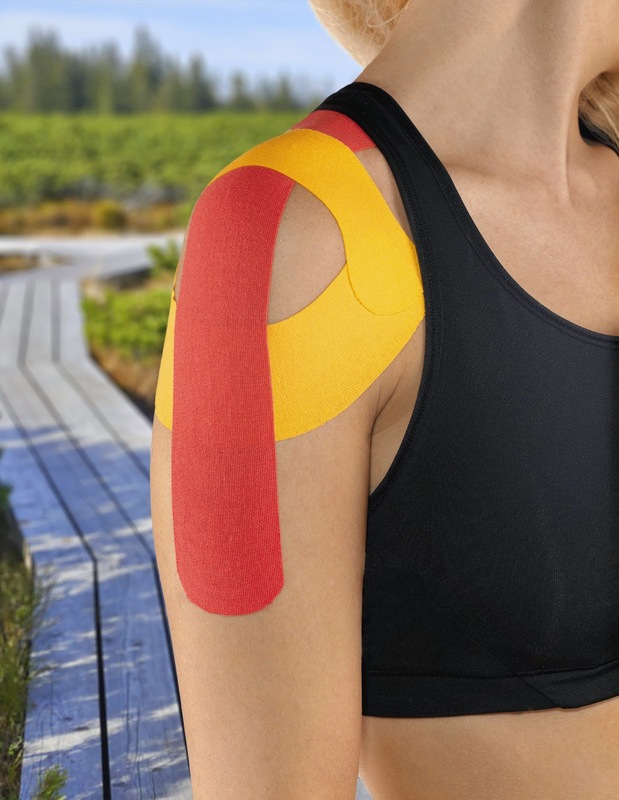 Deep tissue and trigger point massage breaks up the tissues in the muscle to speed healing and reduce discomfort during the rehabilitation process. Massage has even been proven effective in recovering from broken bones, providing relief from stiffness as well as restoring movement and providing relaxation, significantly decreasing or eliminating pain and settling anxiety. Muscles that have been heavily strained through strenuous exercise or hard physical labour can - with repeated use - lose their capacity to relax, causing chronically tight muscles and loss of flexibility. This can result in a predisposition to injuries, especially muscle pulls and tears and even decreased blood flow. 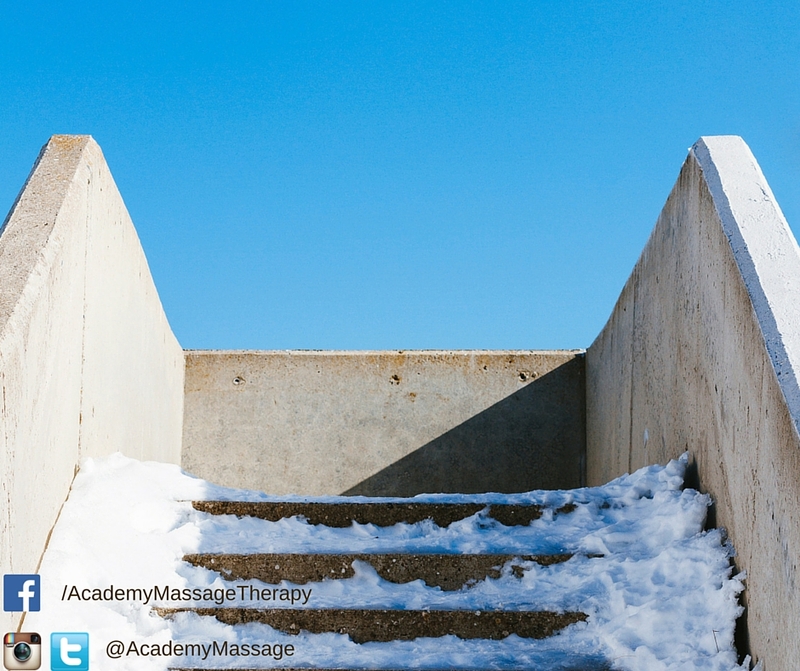 By committing to a continual massage program, you can hasten the recovery process after suffering an injury. As well, regular massage for maintenance allows the therapist to focus on key muscle groups and work specific tissues that can help maintain or improve your range of motion and muscle flexibility. Regular massage also allows a therapist the opportunity to locate your particular trouble spots, including those resulting from past injuries, and thus keep an eye on them so they do not develop further problems. 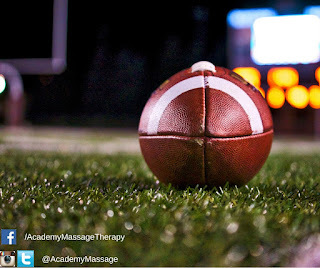 At Academy Massage our professional therapists specialize in the most effectively proven massage treatments, which include Sports InjuryMassage, Swedish Massage, Deep Tissue Massage and Maintenance Sports Massage. Our therapists are dedicated to your health and physical well-being and invite you to call or visit our office to discuss our various massage techniques to decide what therapy is right for you and would be most effective to optimize your individual results. How similar are athletic therapy and physiotherapy? In the first part of our May blog we focused on Athletic Therapy and how and when it is best utilized to provide relief from injuries mainly pertaining to sports. In this segment we will discuss Physiotherapy. Again it should be stated that while there are distinct similarities in treatment methods, in training and designation there are significant differences between an Athletic Therapist and a Physiotherapist. It is important to note that only a registered physiotherapist is permitted to use the terms "physiotherapist", "physical therapist" or the professional designation "PT". Moreover, only registered physiotherapists are permitted to provide physiotherapy assessment, treatment or evaluation. He/she is a healthcare professional who works with clients to identify, provide the proper therapy to both treat the problem and maintain optimal health. Physiotherapists concentrate on the function of multiple body systems, improving functional independence and physical performance, preventing and managing physical impairments, disabilities and handicaps while promoting health and fitness. In addition, Physiotherapists are educated in the correct usage of electrical modalities, which includes ultrasound, electrical muscle stimulation and cold wave laser therapy. This in addition to manual therapy and an exercise rehabilitation program. Physiotherapists undergo similar training as athletic therapists, but their instruction is more comprehensive in the understanding and treatment of all anatomical injuries. For instance, a Physiotherapist is trained to assess and treat burn patients, people recovering from strokes, traumatic and congenital neurology as well as the elderly. Some will also treat sports injuries as well. The education of the Athletic Therapist is focused on the area of assessment and rehabilitation of orthopedic injuries. The Physiotherapist also has a broader scope of practice in their formal education. They possess an undergraduate or master's degree in physiotherapy. Frequently, a physiotherapist will choose to further their education and take advanced courses in such subjects as cardio-respiratory, pediatrics, orthopedics, neuroscience, rheumatology and sports physiotherapy. Before a physiotherapist can begin his or her practice, they must first register with the College of Physiotherapy in the province/territory they wish to practice in. A registered physiotherapist is eligible to use the term physical therapist or PT. To become a sports physiotherapist they must take additional classes in emergency procedures and register with Sport Physiotherapy Canada. Physiotherapists analyze the impact of injury, disease or disorder on movement and function during activities of daily living. They promote, restore and prolong physical independence and encourage clients to assume responsibility for their health. They concentrate on the function of multiple body systems and incorporate a broad range of physical and physiological therapeutic interventions and aids. Patients vary from young children to the elderly, and involve a variety of conditions. Academy Massage does not currently have a Physiotherapist on staff, but employs certified Athletic Therapists who specialize in treating acute and chronic injuries to muscles, bones and joints, providing care and management of sports and orthopedic trauma: Those that may result from home, workplace or auto accidents, or chronic and recurring conditions. To assist our clients we bill directly to Autopac and Workers Compensation. 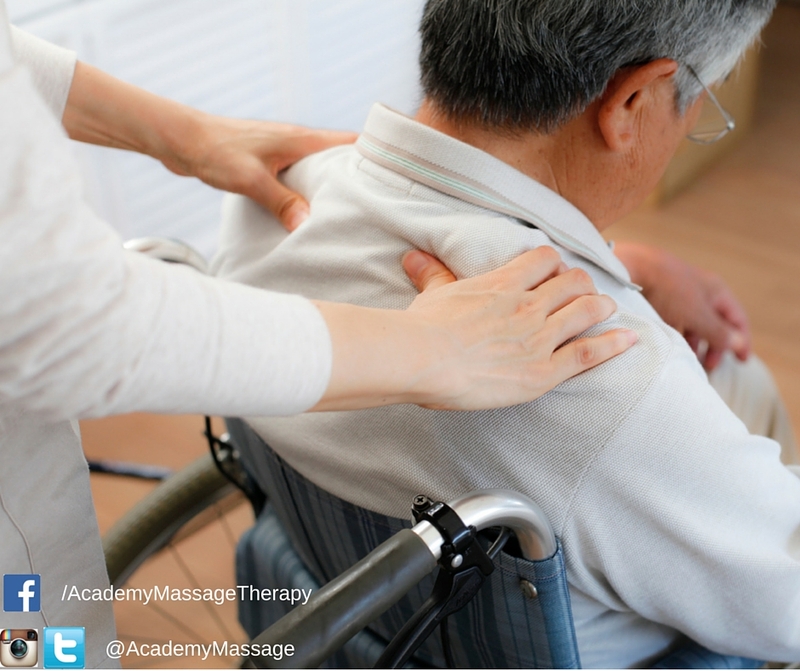 Concern for our clients is always a priority at Academy Massage. Here at Academy Massage this is a question we are frequently asked by those clients seeking the correct course of therapy for pains and/or injuries they might have incurred through various physical mishaps. In fact, as far as treatment procedures go, there is very little difference as both employ manual therapy, modalities, acupuncture and prescribe proper exercise. The main difference between Athletic (or Sports) Therapy and Physiotherapy is in the education and training as each has a specific scope of practice and designation: A Certified Athletic Therapist in Canada is CAT(C), and a licensed physiotherapist is PT. In this, the first installment of our two-part May blog, we will discuss the practice of Athletic Therapy. 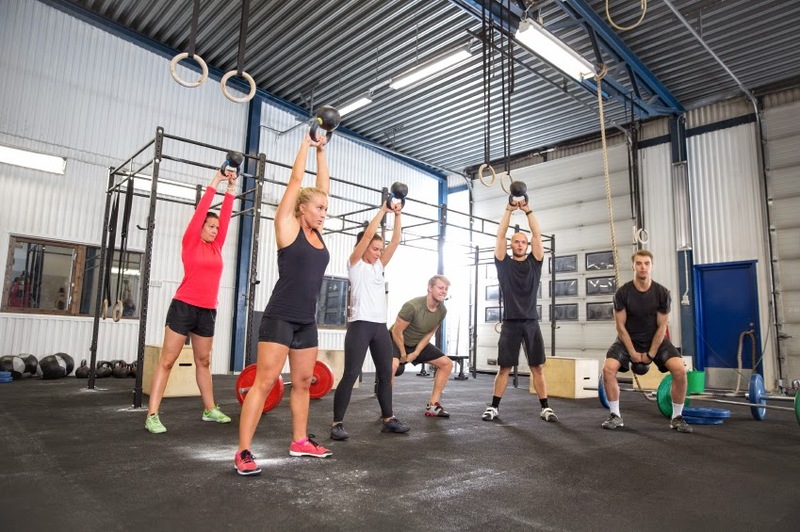 A Certified Athletic Therapist specializes in injury prevention and the immediate care and rehabilitation, should an injury occur, specifically as it relates to team sports or one's individual athletic regimen, be that running, swimming, handball, a strenuous workout at the gym - or even training for an upcoming marathon or triathlon. The prevention program includes musculoskeletal (the muscles, bones and joints of the body) and postural evaluation, a warm-up procedure and conditioning, prophylactic or supportive taping, proper equipment selection, fitting and repair, and adapting the individual to the activity, environment, and facilities. They are also likely to be participants in sports and therefore understand these specific injuries and the demands placed upon athletes in order to compete. The Athletic Therapist is also trained to assess, evaluate and provide the proper treatment to acute sports trauma. This may include applying on-site first aid or preparation for entry into an appropriate health facility. Athletic therapists frequently employ an aggressive treatment protocol to facilitate the healing process, and have yielded quite successful results. Because of their overall effectiveness in trauma prevention and injury management, Athletic Therapists work closely with professional and national teams, and also in sports clinics across the country. The education and training is comprehensive and intensive. Athletic Therapists must possess an undergraduate degree from an accredited institution as well as an advanced certification in Athletic Therapy. In addition, they are required to intern at least 1200 hours of practical experience divided into 600 hours of clinical and 600 hours of on-field experience under supervision of a Certified Athletic Therapist. Once candidates have completed these internship hours, hold a valid CPR and First Aid Certificate, and have written support from their supervisor, they are required to write a three-hour examination. Candidates must also complete two practical exams which focus on emergency care, modalities, assessment, taping, and rehabilitation. After successful completion, they must maintain good standing with the Canadian Athletic Therapy Association to receive the CAT(C) designation. 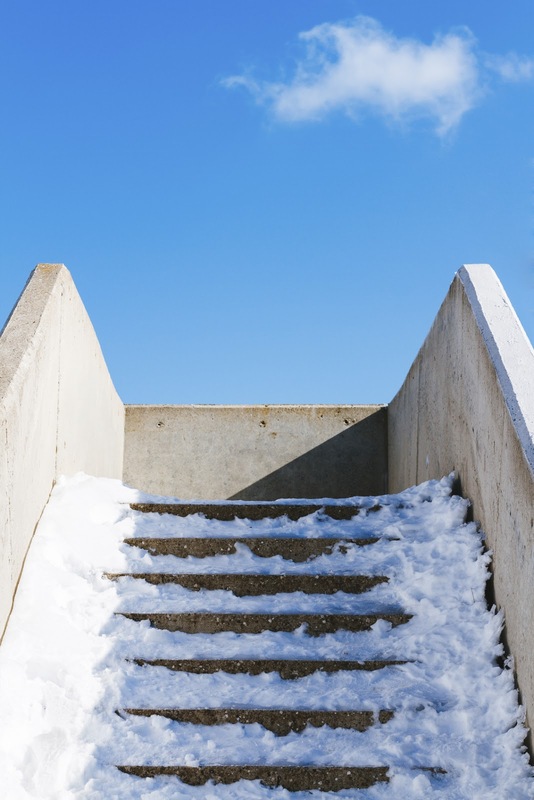 It is a demanding training schedule that is necessary to ensure injuries are both properly evaluated and attended to. Whether preparing for an athletic event or suffering pain from a sports-related injury, we recommend that you book an appointment with Academy Massage to discuss with one of our certified and qualified Athletic Therapists the treatment best for you. Originating as a centuries-old healing remedy of traditional Chinese medicine, acupuncture continues to be recognized as an effective drug-free therapy for pain and other physical - and even emotional - complaints and is among the most widely practiced forms of alternative medicine not only in the east but throughout the world. Because acupuncture is designed to increase the level of whole body health, the treatment not only reduces pain immediately but can prevent a recurrence of pain in the same area. Among the chronic conditions that have benefited from acupuncture are migraine headaches, osteoarthritis, neck and lower back pain, and allergies. Encouraging results have even been seen for those living with fibromyalgia. As well, people suffering from anxiety, fatigue, depression, insomnia and even adverse chemotherapy side effects and addictions have reported excellent results from this alternative treatment. Acupuncture has been shown to provide positive effects on the nervous system, digestive system, endocrine and immune system and cardiovascular system. Acupuncture works by stimulating the body's various systems. This is achieved by inserting thin, sterile needles into specific points in the body, called acupoints. These acupoints connect with certain pathways ("meridians") that carry vital energy (or chi) throughout the body. In treatments for conditions such as arthritis, acupuncture points are stimulated all over the body, not just directly over the affected area. The needles stay inserted in the area(s) for a set amount of time, and are then removed. The length, number and frequency of treatments varies according to the intensity of the pain, and its persistency with the patient. According to traditional Chinese medicine, physical pain is caused by blockages. These blockages impede the flow of chi and disrupt well-being and ultimately can lead to sickness and infirmity. By stimulating the proper acupoints, acupuncture helps to correct and balance that flow, clearing up blockages and opening the circulation in the affected area to eliminate pain, promote healing, and increase vitality throughout the body. Acupuncture relief is threefold. First, it causes the body to secrete endorphins and other natural pain relievers, which inhibit the perception of pain naturally. Second, it blocks the transmission of pain signals to the brain through the nervous system. Thirdly, it deactivates trigger points. Trigger points are tender and extremely reactivate areas that develop within muscles. The result of acupuncture is the relaxation of both mind and body. Acupuncture is a safe and relatively painless procedure (with the benefits far outweighing any minimal discomfort you may experience), but the treatment should be carried out by a qualified therapist. The specialists at Academy Massage are trained in the practice of acupuncture and invite you to visit our office where we will work with you to identify your pain and fashion an effective treatment plan designed to heal your body. In today's active and fast-paced world people are prone to injury or occurrences resulting in physical or emotional distress. Whatever your pain, acupuncture can provide the solution. 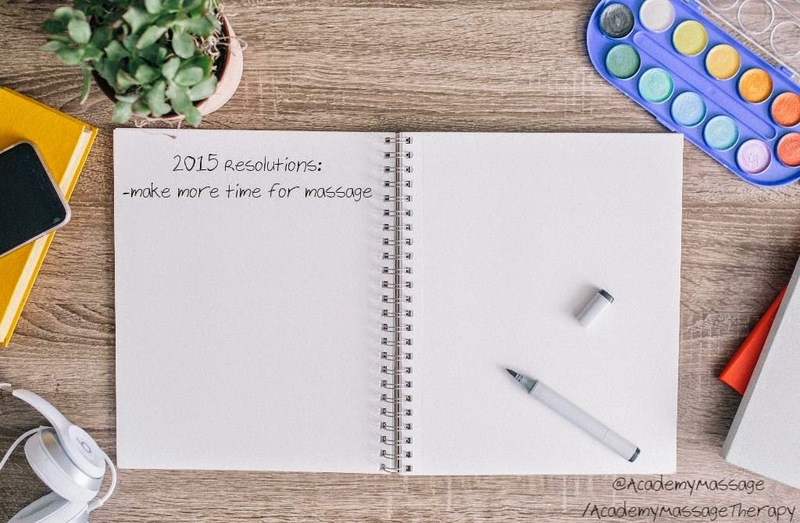 At Academy Massage we remain committed to strategies and treatments to help keep you on your toes. Since it was established in 1948, World Health Day has been celebrated every year in recognition of the founding of the World Health Organization. WHO is the leading global authority within the United Nations. Each year WHO organizes international, regional and local events on April 7 that focus on a health challenge or theme intended to foster awareness to a current global health issue. In past years such topics as global polio eradication, maintaining healthy blood pressure, ageing and health and even the effects of climate change and road safety have been addressed. The theme in 2015 year is Food Safety, a relevant topic given the increasing globalization of our food supply and the need to reinforce food safety systems in and between all countries. This in addition to widespread concerns at home over unsafe food preparation and handling and the serious if not potentially fatal health problems that can result from carelessness or neglect. It has been estimated that food containing harmful substances ranging from bacteria and viruses to parasites and chemical substances has been responsible for more than 200 diseases including diarrhoeal disease, reproductive and developmental problems, and various cancers. Contaminated food has contributed to the deaths of some 2 million people each year - children numbering among the highest in this disturbing statistic. Viral disease caused from the consumption of tainted food has been of a specific concern since the first Ebola cases were linked to contaminated bush meat. A safe and nutritious food supply is essential for maintaining good health. Unfortunately, new food safety threats are constantly emerging, creating greater concerns to the general public as well as drawing greater attention from government agencies. These threats can be attributed to changes in food production, distribution and consumption, along with changes to the environment, new and emerging pathogens and antimicrobial resistance. Each pose a serious challenge to food safety. WHO aids countries in the prevention, detection and in the responding to food disease outbreaks and, together with the UN Food and Agricultural Organization, alerts nations to food safety emergencies. WHO advocates that food safety is a shared responsibility. 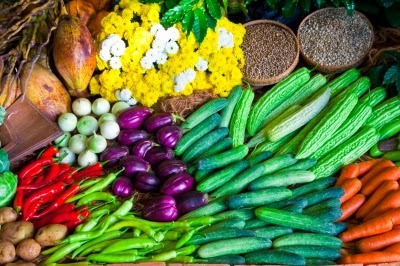 This year the mandate of World Health Day is to educate not only consumers but all along the food production chain from primary producers and manufacturers to vendors - along with health practitioners and those who work in various government offices - about the importance of food safety so that everyone can play a part in ensuring that the food that we and our families eat is pure and healthy. Each one of us needs to be concerned about our health and the health of our community. World Health Day 2015 is a perfect opportunity for you to get involved. Academy Massage encourages our friends and clients to help spread the word about the importance of global health on April 7 using #safefood. Or you can participate simply by taking those first steps to improve your physical well-being through a diet and/or exercise program that will help motivate you to keep healthy and active as the sunny days of summer fast approach.